Ted Cruz wins 14 of 14 Republican National Convention delegates at the Wyoming state convention. 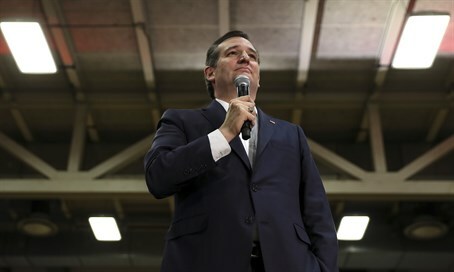 Republican presidential candidate Ted Cruz on Saturday won 14 of 14 Republican National Convention delegates up for grabs at the Wyoming state convention, CNN reported. "If you don't want to see Donald Trump as the nominee, if you don't want to hand the general (election) to Hillary Clinton, which is what a Trump nomination does, then I ask you to please support the men and women on this slate," Cruz said after the results were in. With Saturday's sweep, Cruz can count on at least 24 of the 29 delegates from the state. The victory in Wyoming comes a week after Cruz took all 13 Colorado delegates at stake, notching his fourth win in a row against Trump. In Georgia, meanwhile, Cruz supporters managed to rout Trump in several congressional district conventions, noted CNN. Georgia's third district selected a slate of national delegates openly in opposition to the billionaire's candidacy after a somewhat contentious show of support for Trump. Trump performed strongly in Georgia's primary on Super Tuesday, coming in first place ahead of Rubio and Cruz.